In some parts of the world, Easter time marks the start of Spring. So I thought I’ll play around with the Spring theme. This week, April 9-15, I have some ideas and projects we can try out that will help perk up the spirit. 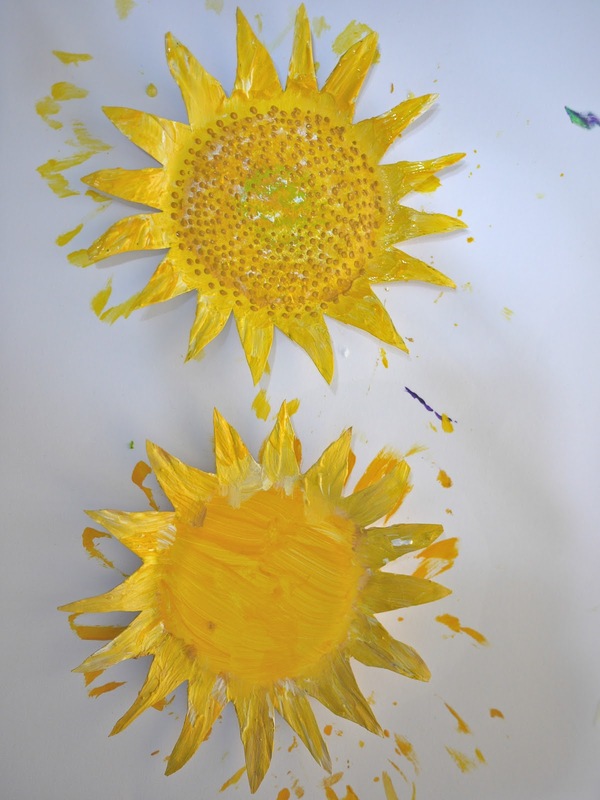 Today our theme is “Spring into Childlike Joy” and our project is “Making a Paper Sunflower”. and what joy it could bring! The greatest thrill about picking up my son from school is the anticipation of what today’s project might be. There is a gate at my son’s play school so we can actually see all the kids before they run out to their parents or caregivers. Last week, everyone had a big smile and a paper flower at hand. They all looked so excited to show off what they had made in class. When the gate was opened, he ran to me, jumped into my arms, and proudly showed his paper flower. He was still clutching it in his hand even as I fastened him in the stroller. Then I said, Ok, you have to give that to Mommy so we can show it to Daddy later. But of course, he would’t let go, it was HIS flower after all – a product of his hard labor. Anyway, in my effort to secure it the stem broke, so that explains the masking tape around it. 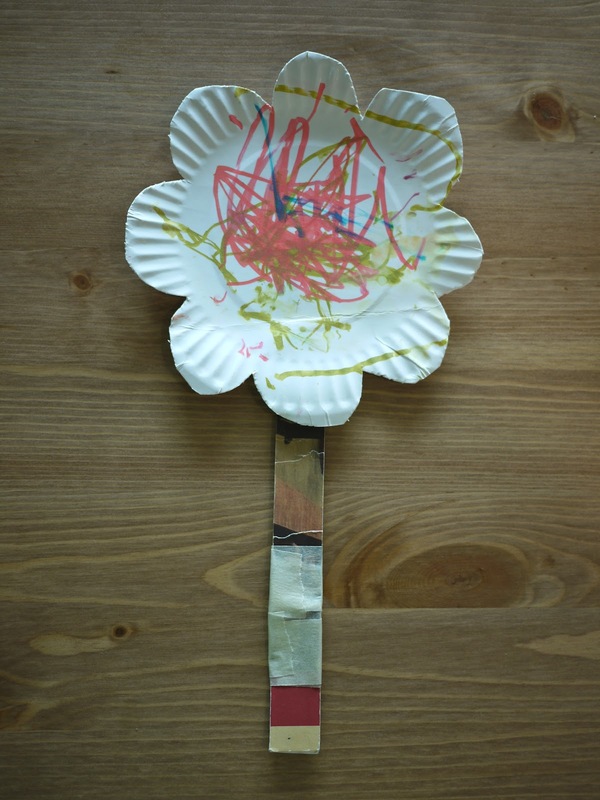 So I thought, imagine if we grown ups still take the time to make something by hand- something as simple as a paper flower. 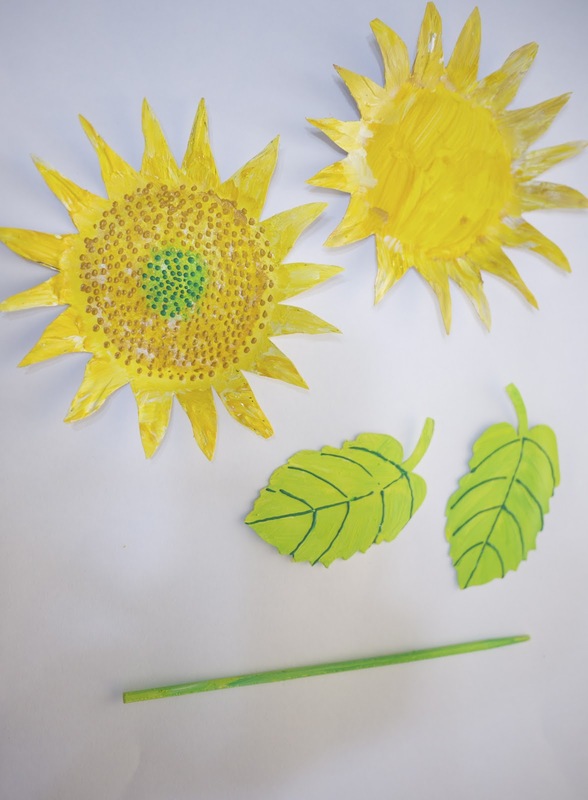 We can look at it everyday and feel genuinely happy and proud to see that we have made something beautiful with very basic materials… paper plate, stick, glue and paint. 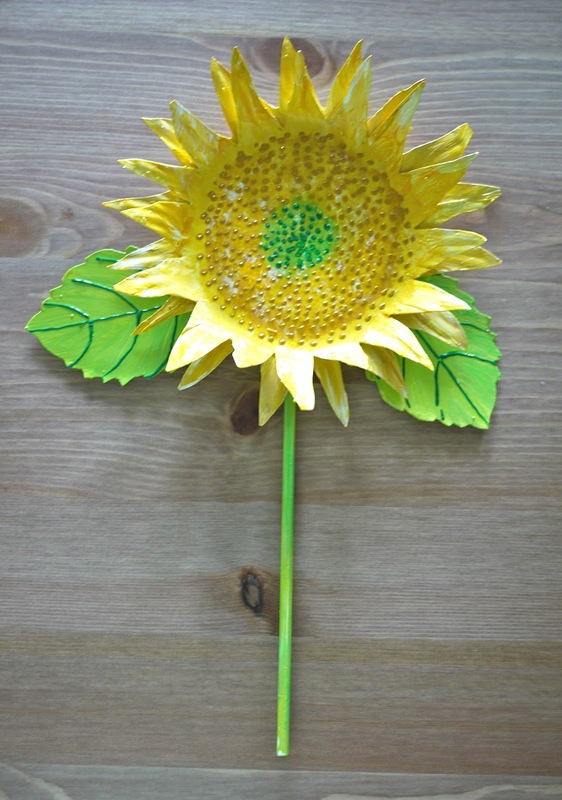 I invite you to make your very own Paper Sunflower. 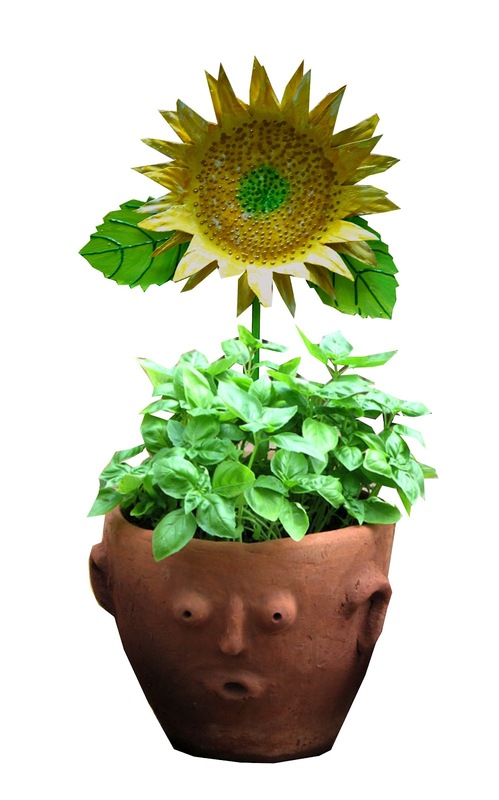 Stick it in a potted plant and put it in a place in your home where you can easily see it to inspire you and bring some childlike joy in your life. 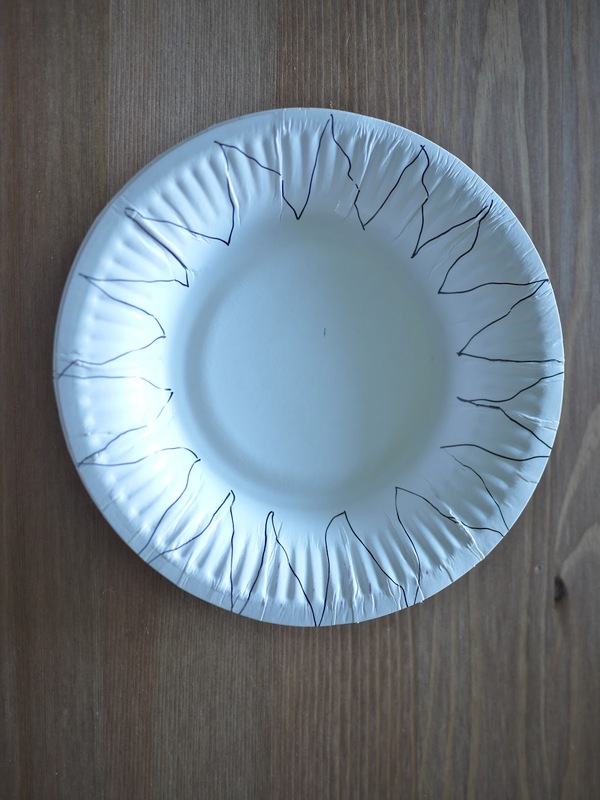 Put two mini paper plates together. 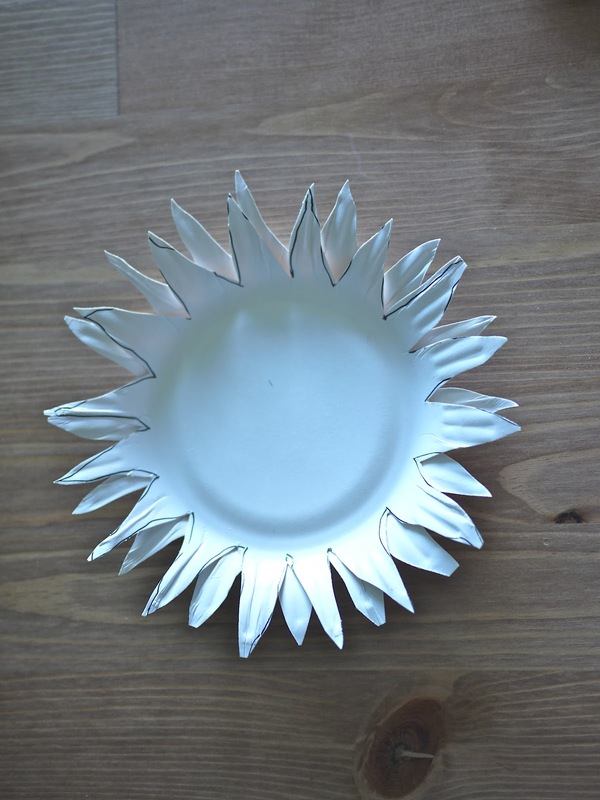 Draw an outline of your sunflower on the top plate. please round the tips of the petals. and the second one will just be painted yellow. 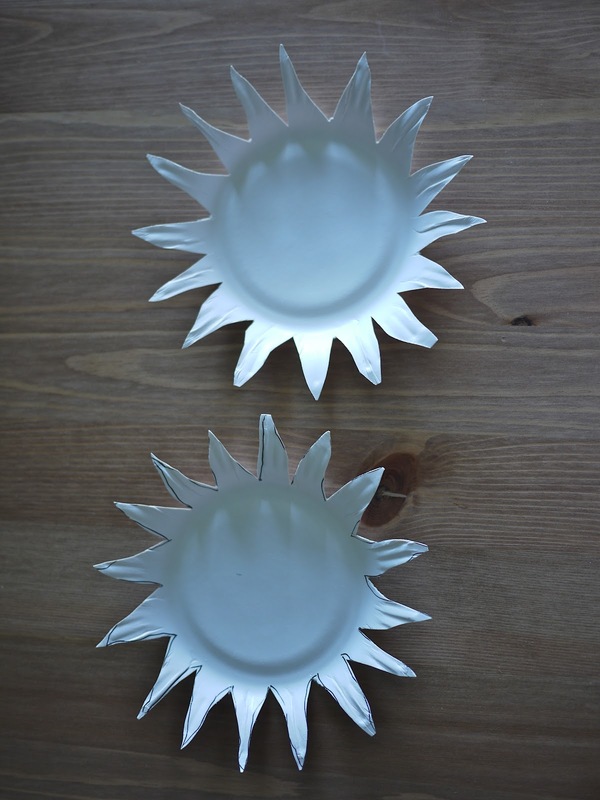 Cut leaves from another paper plate and paint green. Also paint your chopstick/skewer green. so that all petals can be seen. 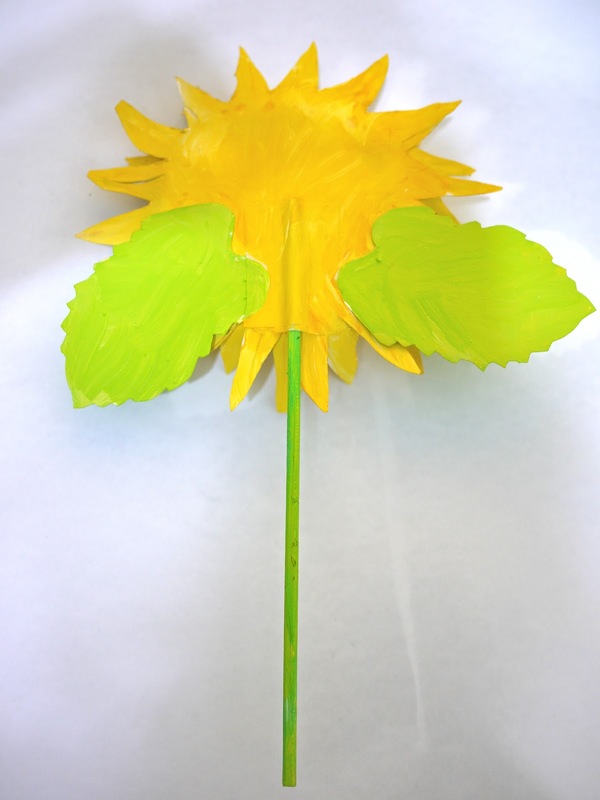 Glue the leaves to the back of the flower. to the back of flower. to make sure the stem is well secured. on the breakfast table or your study area. This entry was posted on April 8, 2012 by Paulina Constancia in Uncategorized.